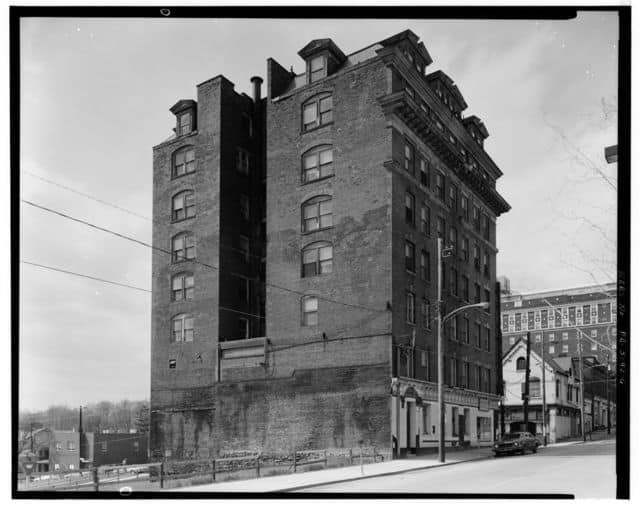 There have been several hotels in downtown Greensburg that have come and gone including the Hotel Ehalt, Fischer House, and the Penn Albert. While the Penn Albert still remains, it no longer serves as a hotel. 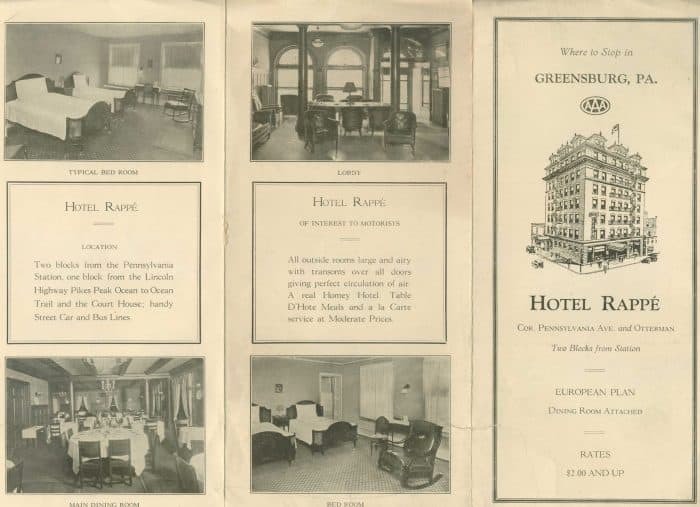 The last operating hotel in downtown Greensburg was the General Greene Hotel, originally known as the Hotel Rappe. The Hotel Rappe on the corner of Otterman and Pennsylvania Avenue. Miller Drug can be seen in the bottom right-hand corner. 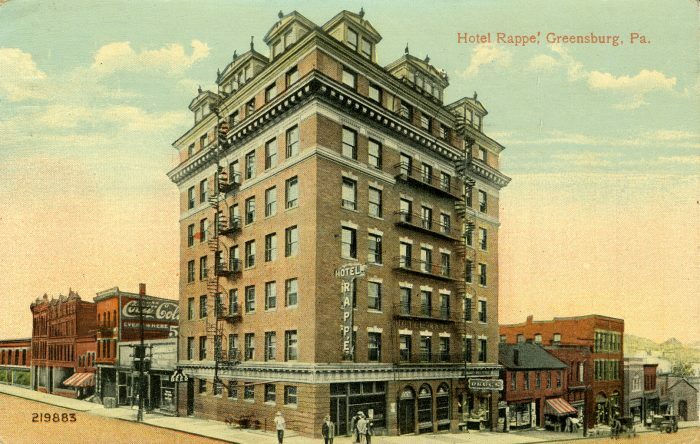 The Hotel Rappe was built in 1903 by J. Rappe Myers as the largest and most modern hotel in Greensburg. 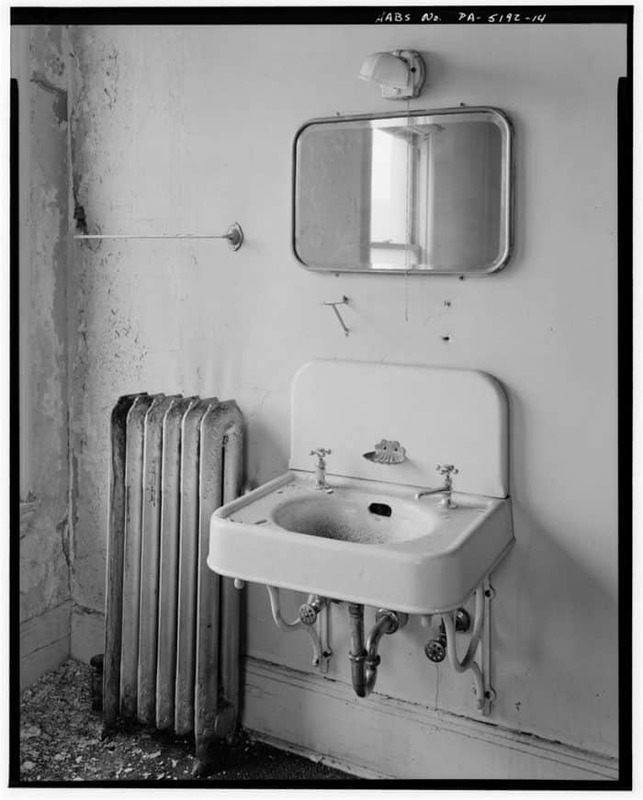 Located at 40 North Pennsylvania Avenue, the hotel was conveniently located across the street from the Palace (Manos) Theater and behind the courthouse. 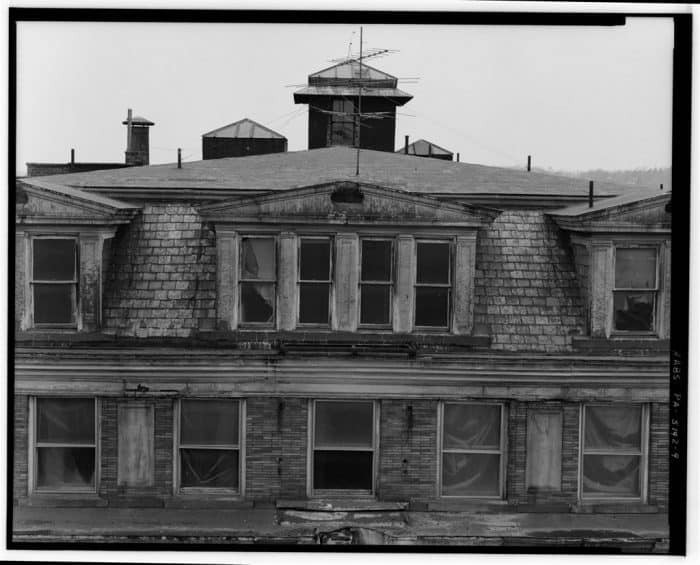 It was eight stories tall and was a prominent fixture in the Greensburg skyline. 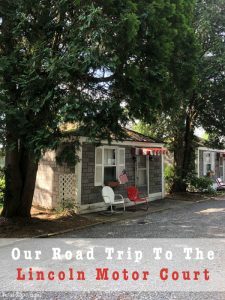 The hotel became famous for its dinner specials which featured wild game as well as vegetables from the owner’s farm. 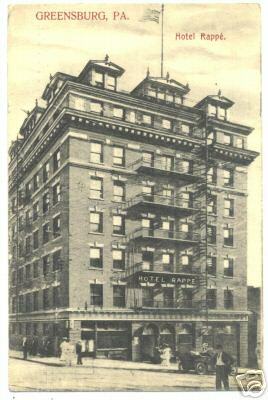 An event that seems to be forgotten to history is the explosion that took place at the Hotel Rappe in January of 1908. An ammonia tank which was placed under the street and part of the hotel’s refrigeration plant exploded, causing $30,000 worth of damage and injuring four people. The Miller Drug Store which was located on the ground level of the Rappe suffered extensive damage as well. 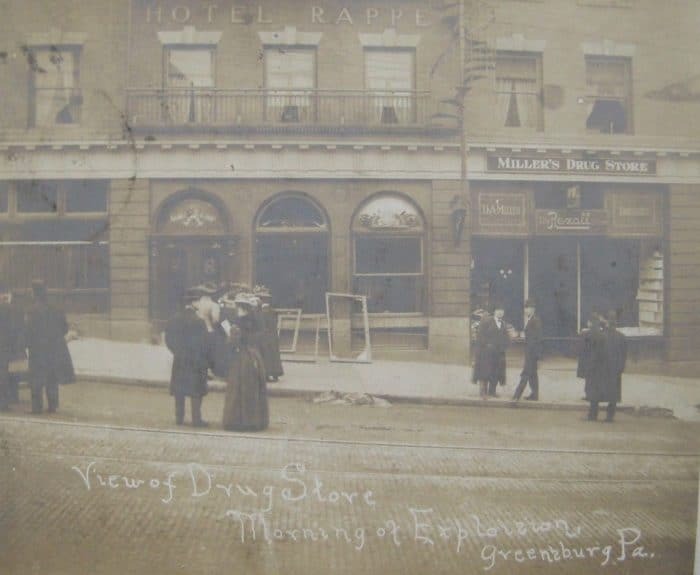 While the Hotel Rappe saw its heyday at the beginning of the 19th century, in its later years the hotel changed hands (and names) several times becoming the Greensburger and eventually the General Greene Hotel. The hotel underwent a major renovation in 1962 to try to revive the venture. 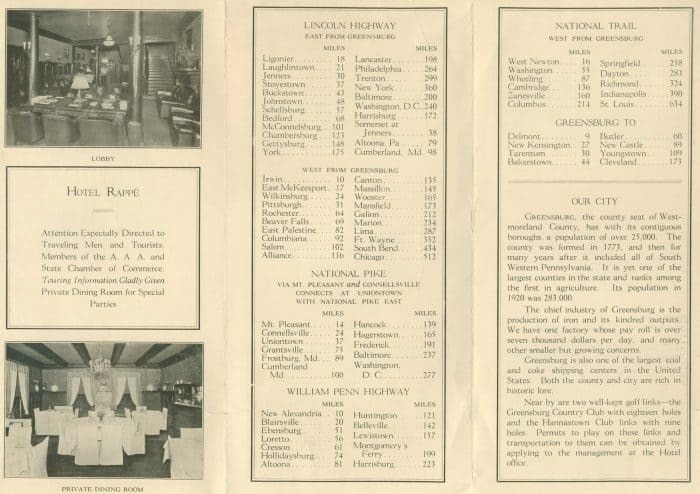 Here is an interesting brochure which gives a glimpse into what the hotel used to look like inside. 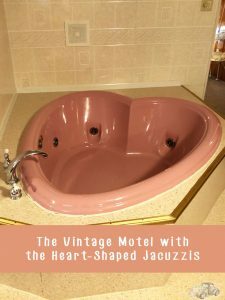 Despite steps taken to modernize the building, the hotel only lasted another 10 years. It closed in 1972. It was left to slowly deteriorate for the next ten years. The hotel was named to the National Register of Historic Places in August of 1980. 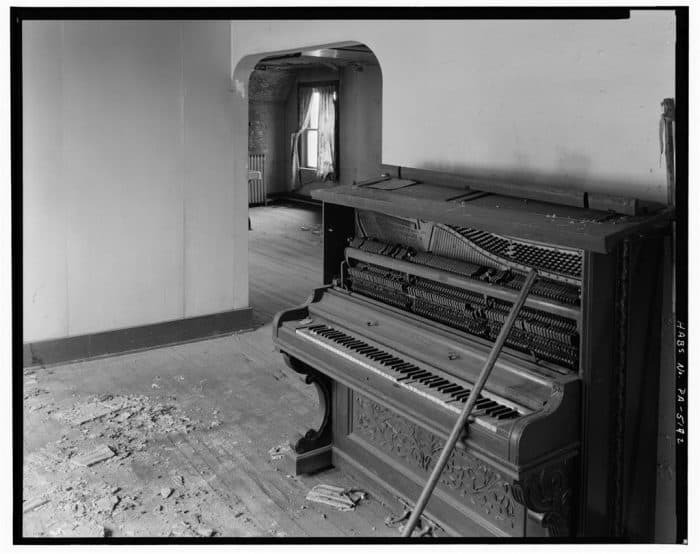 Sadly, this wasn’t enough to save the building and it was torn down in 1983. After the demotion, the Rappe Hotel was removed from the National Register in 1988. It was the last hotel to ever service downtown Greensburg. 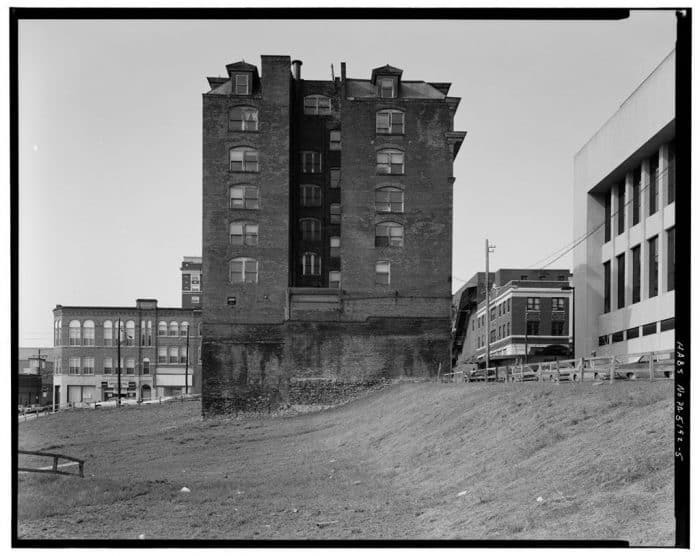 After the demotion of the Rappe Hotel, the land was used to build to build the Courthouse Annex — located across from the Rialto. 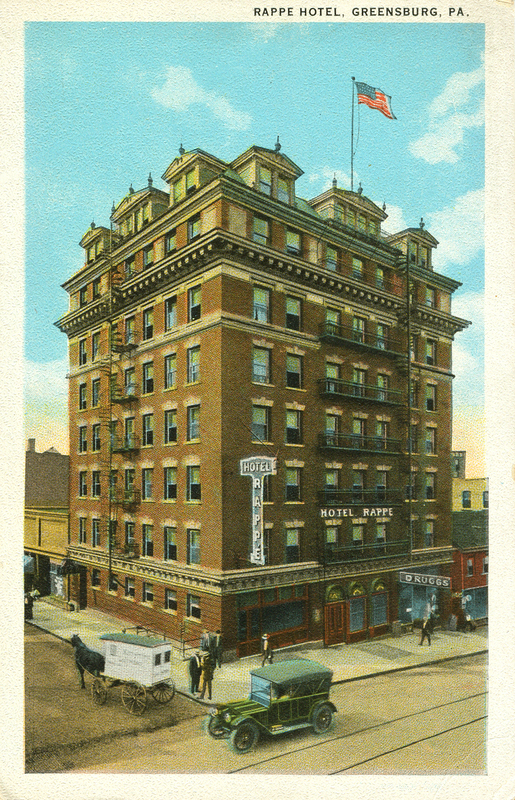 Since the Rappe was torn down the same year I was born, I sadly never had the chance to see the old hotel. 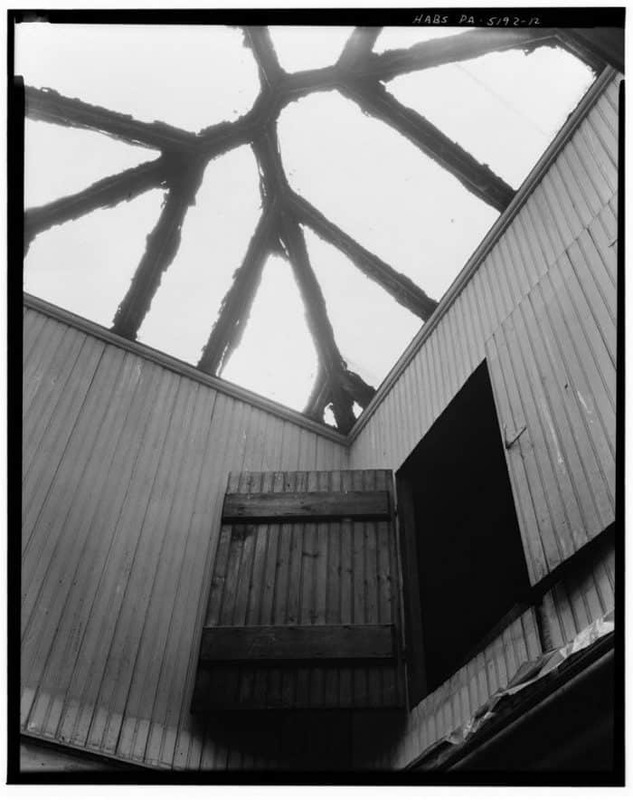 Thankfully, someone had the foresight to take some pictures of the structure while it was still standing. It is obvious from the photos that the building was in really rough shape by the end. Probably from the years of neglect. Check them out and take a walk down memory lane.